Exclusive $25 instant bonus added! $100,000 in Titan Poker's Jackpot sit 'N' go. Up to $25,000 satellite tournaments. Very good software crisp clear poker cards. Fast support around the clock. Hand history with graphical poker cards. Popular jackpot sit 'N' go. Located on the popular iPoker Network, Titan Poker has distinguished itself as a rising competitive force in the international online poker market. While the UIGEA put an end to Titan Poker’s ability to accept online poker players residing in the United States, an extensive promotional effort helped the relatively new online poker site to thrive in a post-UIGEA world. 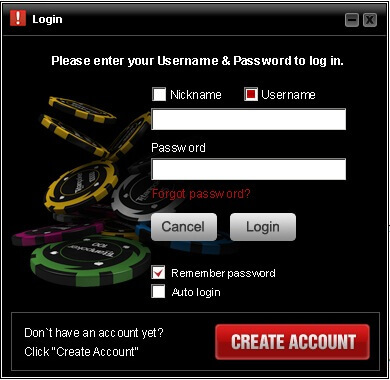 Offering online poker players enticing rewards and incentives, an ample game selection with the traffic scores to keep the online poker favorites sufficiently active 24/7, one of the most innovative online poker software platforms in the industry, and an exclusive 200% sign up bonus of up to $2000 through EveryPoker.com, Titan Poker’s rapid rise to prominence was inevitable. Developed by one of the world’s leading software companies, PlayTech, the iPoker online poker platform utilized by Titan Poker is among the most stable and feature-rich in the industry. Superior graphical quality, navigation filters and optimization controls provide an all-round pleasing online poker experience. 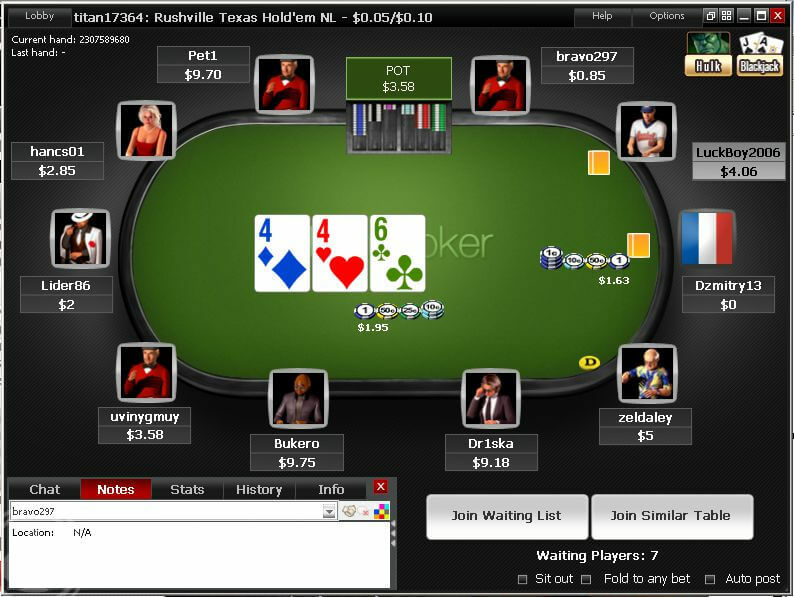 Multi-tabling functionality at Titan Poker is top-quality, supporting up to 16 re-sizable and arrangeable tables at once. In game, graphical hand histories allow players to review their previous hands while still in play, and a built-in live chat module provides instant customer support with a single click. 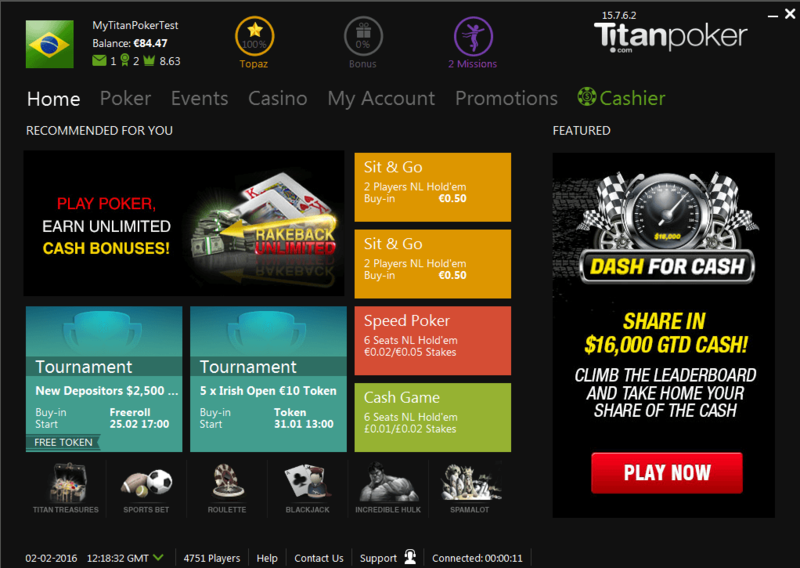 While the download version of Titan Poker’s software is only available for Windows users, Mac and Linux fans may access the Titan Poker games through the website’s instant-play flash version. Among the most populated international online poker networks on the market, iPoker’s traffic scores are often in the high thousands, occasionally peaking with over ten-thousand players online. As Titan Poker shares in the iPoker Network’s traffic, this means plenty of action is always available at Titan’s online poker tables. Titan Poker offers a wide range of online poker tournaments to suit any size bankroll; from $50 beginner freerolls, to some of the biggest guaranteed prize pools in the industry. The daily schedule of tournaments include freezeouts, rebuys, and turbos; as well as Omaha, Omaha Hi-Lo, and 7 Card Stud competitions. Sunday’s $200K Guaranteed tournament is a major attraction, with satellites to the event running daily, or players can buy-in directly for $200+$15. Players who fail to reach the payout structure in the $200K Guaranteed are eligible to participate in the $200,000 Second Chance Freeroll held on Mondays. Host to the European Championship of Online Poker (ECOOP), Titan Poker also has their hands in numerous prestigious live poker events. Satellites and prizes packages are regularly available for the World Series of Poker, the Asian Poker Tour, the Aussie Millions, the Irish Open and many more. Supplying all of the online poker favorites – Texas Hold’em, Omaha, Omaha Hi-Lo, and 7 Card Stud – Titan Poker also provides 5 Card Stud; which often receives more traffic in the cash games than its 7 Card counterpart. Fans of Omaha and Stud variants will also be pleased to find Omaha, Omaha Hi-Lo and 7 Card Stud tournaments running daily at Titan Poker. The level of competition at Titan Poker has always been notoriously soft in the low and mid-limit cash games. Online poker players with some basic poker strategy and table selection knowledge can look forward to padding their bankrolls at Titan Poker. Online poker players making their first deposit at Titan Poker stand to gain a 200% welcome bonus of up to $2000 using our exclusive Titan Poker bonus code: free100k. In addition to a 200% boost, new players also receive 4 tokens to Titan Poker’s $2,500 New Depositors Freeroll. The Titan Poker bonus is released in $10 increments for every 330 Titan Poker Points accumulated from raked cash games and tournament fees paid. Players who claim the 200% Titan Poker bonus will be required to earn the specified number of points within 30 days in order to qualify for the sign up bonus. The Titan Poker VIP Club is a 9-level loyalty reward system based on the number of Titan Poker Points players earn each month. Higher levels in the VIP Club give players a point boost, and access to weekly VIP freerolls. The points players collect can be redeemed in the Club Titan Store, and each Titan Poker Point holds a significantly greater value as one ascends through the VIP levels. Online poker promotions are the winning achievement of Titan Poker, with more dazzling and rewarding opportunities for their players than most online poker rooms can afford to compete with. From an unbeatable array of new player promotions to a variety of ways to win live event prize packages, Titan Poker offers enticing incentives for players of every skill and budget level. Every Sunday, Titan Poker patrons are presented with the opportunity to cash in on a $200K guaranteed tournament, or redeem themselves in Monday’s $200K Second Chance Freeroll. Referring friends to Titan Poker can earn players up to $500 per friend, and players who take down a Texas Hold’em hand with at least three players dealt in while holding four Kings or better (utilizing both hole cards) stand a chance to earn the Top Hand of the Day Bonus (awarded once a day to the best qualifying hand; ie. the first royal flush of the day meeting the promotion’s requirements would win the Top Hand Bonus). Offering round-the-clock customer support via in-game live chat, toll free telephone for Canada and the UK, an international telephone number for the rest of the world, email, regular mail and fax, players have numerous methods in which to contact Titan Poker’s 24/7/365 customer support team. Deposits: Visa, MasterCard, Moneybookers, NETeller, InstaDebit, Internet Banking, Bank Transfer, EntroPay, UseMyBank, PaySafeCard, Sofort, Click2pay, Ukash, WebMoney, Instant Bank, GiroPay, POLi, Click and Buy, Moneta.ru, ECOcard, myCitadel, Ticket Premium. Euteller, Ewire, MultiBlanco, Przelewy24, Boleto Bancario, eKonto, Abaqoos, DineroMail, Neosurf, Santander, Nordea, EPS, EC, eNets, iDeal and Transferencia Bancaria Local. Cashouts: Visa, Moneybookers, NETeller, InstaDebit, EntroPay, Click2Pay, POLi, Click and Buy, Moneta.ru, ECOcard, myCitadel, Nordea, eNets and iDeal.